Building muscle – at least for most drug-free lifters is long, hard battle. 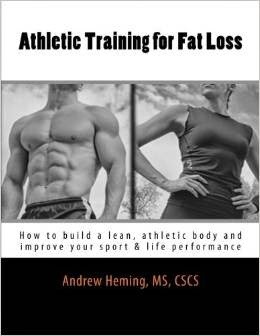 However, too many people make it harder than it has to be by following sub-optimal muscle building protocols. Are you one of them? If you are investing your valuable time and effort into building muscle, are you getting the best possible return on your investment? The truth is you can speed up the process and amplify your gains – if you know what you are doing. If you want to know the best ways to build more muscle – keep reading! When it comes to training, some people love the science. They will not do anything that does not have a peer-reviewed research study to support it. Others could care less about science, data and lab coats. Instead, they opt for real world, in the trenches experience. Who is right? Potentially both. In the world of training, science is not at the cutting edge. It is not coming up with groundbreaking new ways to get better results in the gym. Instead, the real discoveries start in the gym. They start with lifters trying things and learning what works and what does not work from their successes and failures. When they find things that they think work, they write about it or tell others. This seems to make sense - after all, success leaves clues – right? The problem with stopping here is that just because someone has had success does not mean that it is for the reasons they think. Is that extra-large-muscled guy the product of intelligent training practices or was he just genetically blessed and pharmaceutically enhanced? Did he succeed because of or despite his new training method? How do you know? That is where the guys in lab coats can help us. The role if science in the field of training is for validation. We need exercise scientists who take a critical look at these training claims. Then, they figure out how to create controlled experiments to validate or refute these claims. If they do a good job (and yes, they are human – they do make mistakes and yes, some studies lack real-world applicability), we get the validation to know that a particular training protocol actually works. In October 2017, the National Strength and Conditioning Association’s Strength and Conditioning Journal Published a research review entitled Muscle Hypertrophy: A Narrative Review on Training Principles for Increasing Muscle Mass. 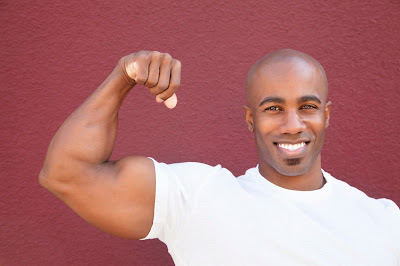 In this article, Louis Howe, Paul Read, and Mark Waldron did an excellent job of reviewing many of the top research studies on muscle hypertrophy. Here is a quick summary of the research findings reviewed in their article. At some point, more is not better when it comes to volume. A study comparing 5 sets of 10 to 10 sets of 10 found no real difference in hypertrophy. While many bodybuilders train a muscle once per week, Training a muscle group 2-3 times per week yields better muscle gains. Greater than 3x per week may also be helpful in trained individuals. Training to failure all the time can cause overtraining – it is best to vary training to or stopping short of failure in your training (My note: also consider the exercise. Training to true failure on exercises like squats and deadlifts is unsafe and unnecessary. Training to failure is more suited to smaller, isolation exercises such as wrist curls and calf raises). 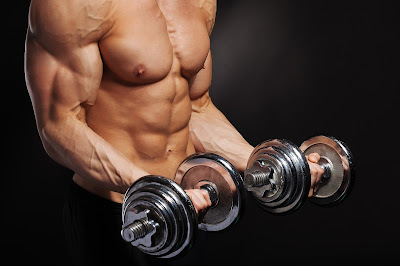 Muscles such as your chest and traps have different parts with different functions. As a result, training with a variety of exercises allows you to effective overload these different parts. Eccentric-only training is slightly better (though not statically significant) to concentric-only training for building muscle. Some people prescribe slow reps for muscle size. However, research shows no difference in muscle growth comparing faster or slower reps. (My note: if you want functional hypertrophy faster reps is a better way to go than practicing being slow). Longer rest times (e.g. 2-3 minutes) seem to be better than shorter rests when training for size. There you go. Now, get to the gym and then eat some food. As always, I welcome your comments and questions below – but no spam, please. Thanks mate - I always appreciate your support and feedback. Great share!! Nice and informative info shared! I truly like the valuable info you had provided to your article its very helpful and I will definitely try these tips for a best body.